Oak is a feature of the English psyche, a fabled national wood if there is such a thing. It proliferates throughout our history from warships and traders building an Empire to the familiar furniture and ancient twisting house frames. The royal Oak subverted to shelter Kett, Litster and Hood. The familiarity of the grain pattern smoothed and oiled on chair arms and banisters, the hardness, strength and flexibility are somehow synonymous in our hive mind with Englishness. 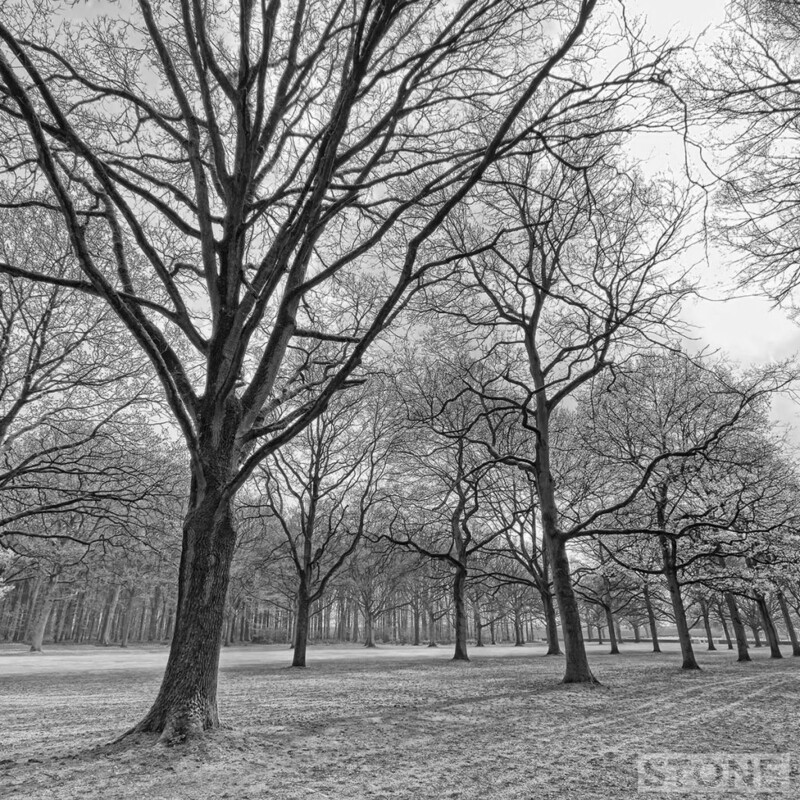 We are not alone with Oak, because it simply isn’t just our wood. In the cemeteries of the front you won’t find that much English oak, in fact it’s probably more emblematic for the German nation in memorial form, there are rooms lined with it at Langemark, millimetre perfect names beautifully cut in grotesque type into the surface in terrifying scrolling rows, rooms of of Schmitts and Müllers. And boys lie decorated with it the Oak leaf, Oak trees planted above the graves, acorns on the ground. The same is true of other nations. And at Delville the ownership of the emblem is South African. In front of the South African National Memorial Park there stands an row of giant, twisted, intricate Oaks, bursting out of a carpet of mossy grass. They lead down forming an avenue to the national memorial. In some ways they are more the memorial than all the stone you can carve and put in place. The trees were grown from acorns from South Africa. Which in turn arrived in South Africa in 1688 with Jean Gardiol, a French Huguenot. These germinated acorns replanted this avenue in Delville Wood. Full circle, French acorns, become South African trees, become South African acorns become French trees. 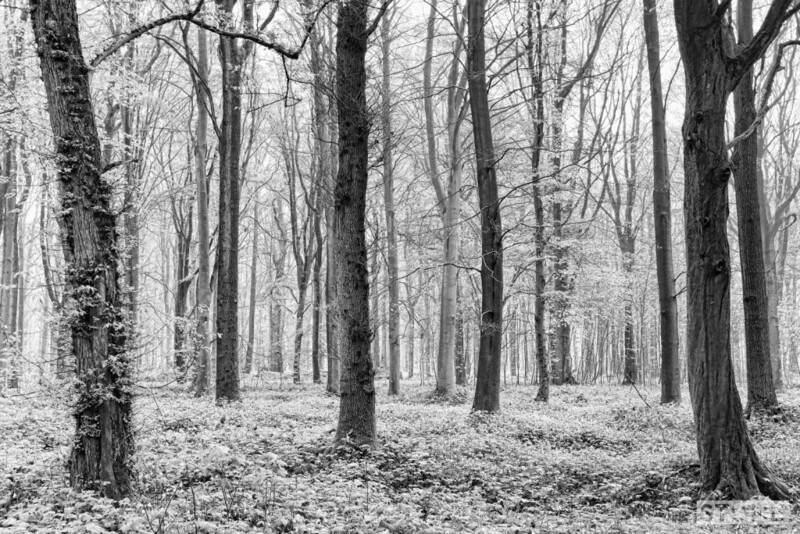 The wood at the end of the war was a desolate wasteland the fighting had rendered it down to. 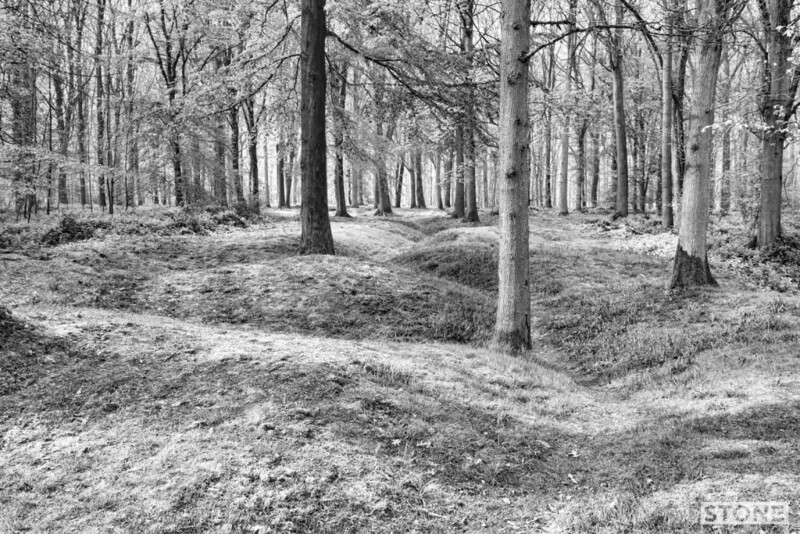 It remains a grave to thousands and in many ways is one of the most memorable areas the front in itself, certainly one of the most striking pieces of woodland. It still contains one solitary Hornbeam which survived the shelling and still bears the scars fenced off at the confluence of the paths. You will find trenches all along the front, some are recut and preserved with elephant iron and timber holding them together, others excavated and refabricated with wattle holding them in place, mud trampled and lathered by the feet of thousands of cagoule-clad, clipboard-sporting school children freshly podded from coaches that have poured into the front from across Britain to sample trench life. 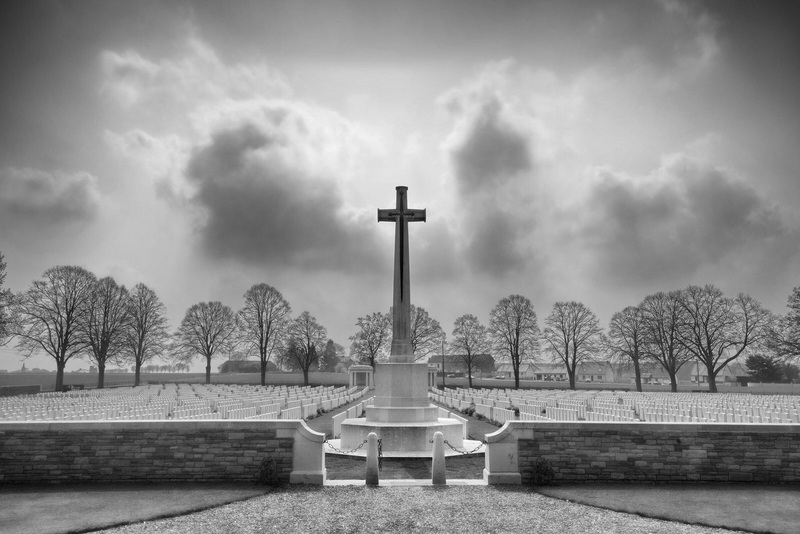 Delville, like parts of Newfoundland Park and elements of Vimy is different. The lines and shell holes are preserved beneath the tree canopy, below the grass, ferns, brambles and bluebells passing time has softened and filled them, you can trace some of the traverses and lines, see the shapes they formed and it’s rather strange in a nice way, as if a landscape can remember and is trying slowly to forget. It is a place with many silent echoes, names you recognise. The main tracks are marked with plinths, they retain the names the British gave them as reminders, to ease the tongue like familiars; Rotton Row, Regent Street, Bond Street, Buchanan Street, Campbell Street, Princes Street, King Street and Strand Street. Resonant of another time, memories of someone else’s past and home, yet just as much part of our own world. It is all worth the easy walk, it has been harder for others. It is how you gain an understanding and a foothold, the slopes and facets of a place, the geometry of silence. You can cover a huge number of phases of the process of destruction. The South Africans were not alone here, not the first, the Holy Boys from Norfolk left their mark on the Longueville side of the wood, The Suffolks were in here too. With them you can also find Scotland; the Argyll & Sutherland, Seaforths, Cameron Highlanders, and the Royal Welsh. All faced the Thuringians and Bavarians and all left their dead here in the layers of mud and shattered wood. Two friend’s that I know of lost family in Delville: A great Granddad; Arthur Page was a 37 year old Cambridge Baker, his light went out somewhere in the stumps of trees in the early sun and mist of the 20th July 1916. He was found, his body identified and then interred across the road in the large cemetery opposite on the Ginchy Road; one of 5,523, 3,593 of whom have no name. William Cork was 21, from Armes Street, Heigham, Norwich. He was injured here on the 28th September 1916, evacuated and died of wounds. He is buried behind the lines overlooking the estuary at Etaples in the Pas de Calais, so near home. Stumbled upon the story of Devil’s Wood while researching a WWI British Victory Medal. Had it a few years and never knew Frank Smith of the Norfolk Regiment was killed in the war.